Available for pre-order at GameStop.com. 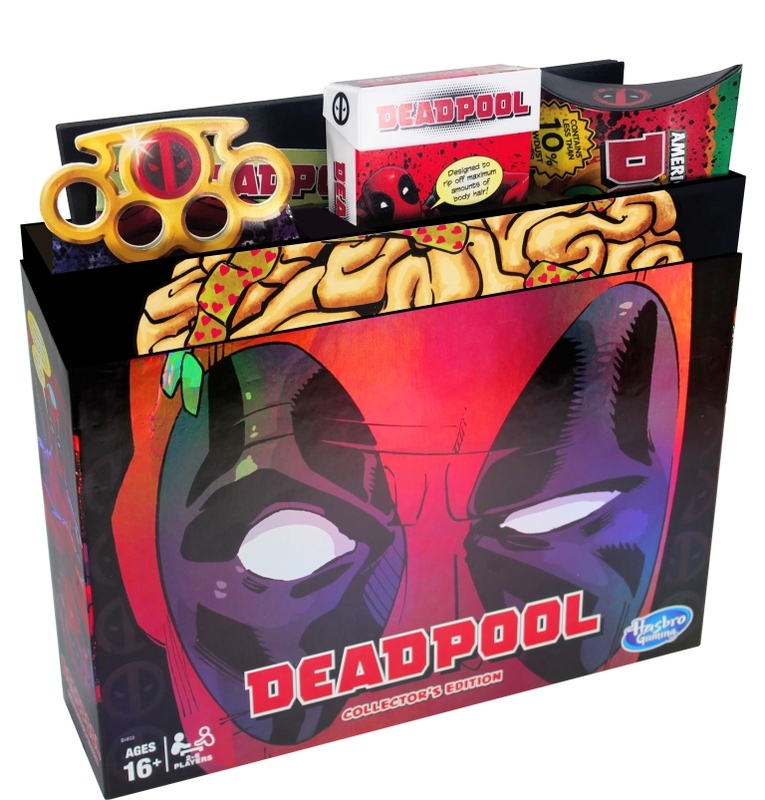 The Marvel Deadpool Collector’s Edition of the Monopoly game features premium foil packaging, stylized gameboard art, and Chimichanga, Bandage, and Unicorn Boxes to hold game components. 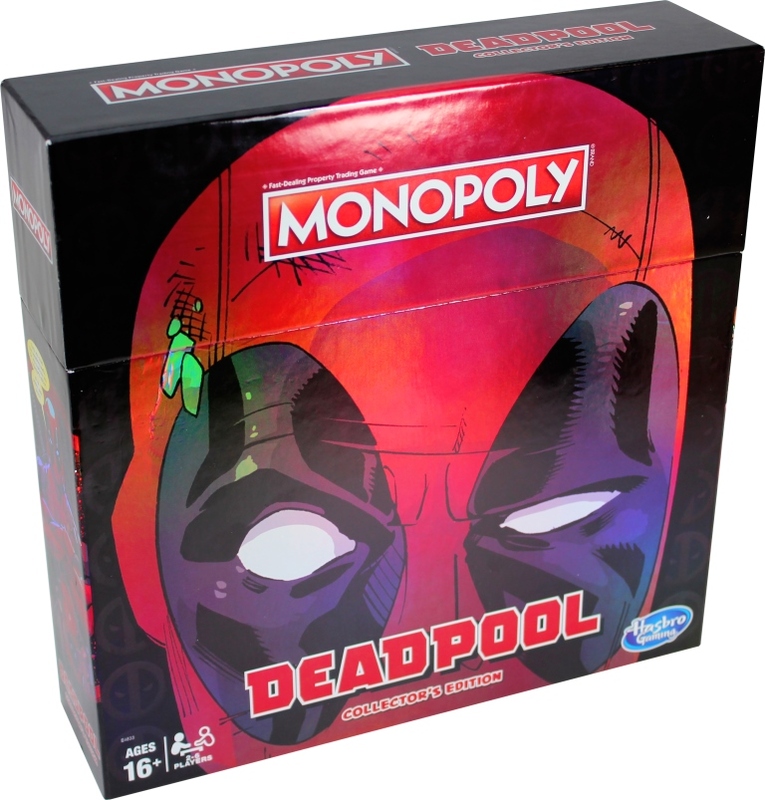 It also includes a token based on Deadpool’s cozy bunny slippers! 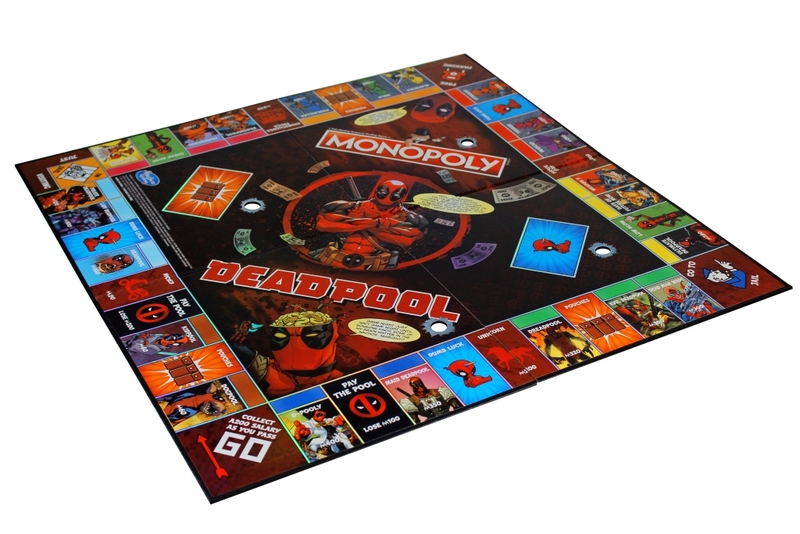 Players can enjoy traditional Monopoly gameplay with the crazy humor of Marvel’s comic book character. Players move around the board hiring as many Mercenaries and buying as many Sweet Rides as they can. The last player with any money when all other players have gone bankrupt wins!